Online ordering with Blankmedia.ca is simple and safe. Simply select the product and click shopping cart icon or click the product to bring up product details. In the product details, you can see the SKU of the product, the quantity in stock. You can also change the quantity you wish to add to the cart. Click the add to cart button to move the product and quantity to your cart. To View your Cart, click the View Cart button. Add your billing and shipping information, select your method of shipping and choose your payment method. If you are paying by credit card, debit or paypal, you will be redirected to their website to make your payment. If you are picking up your order at the Dundas Distribution Centre, select Pickup in Dundas and choose your payment option. The Dundas Distribution Centre is not a retail store. Online orders receive priority over walk-in orders. We respectfully request customers to place their orders on the website and wait for notification that their order is Filled prior to coming to the warehouse. Allow our staff time to confirm that the stock is available and there are no issues with your order. The Dundas staff have the right to refuse service if your order has not been placed online. All Pickup in Dundas Orders must be placed online prior to pickup. If you need further assistance placing your order, please contact customer service. To reach us by phone or by fax, please use the numbers below. Our toll free number may not be available in all areas. If you reach voicemail, please leave a message as our phone lines are busy. Someone will get back to you. If your call is after hours and is of an urgent nature, please leave a message and send an email to sales@blankmedia.ca. Our hours of operation are Monday to Friday 9 am to 4:30 pm EST. Dundas Distribution Centre – Hours of operation Mon – Fri. 8:30 am – 3:45 pm EST. To send an email money transfer, you log in to your online bank account and transfer funds securely via email. There is a minimal charge from your bank for this service. This payment method is only recommended if you bank with CIBC and when you are not able to use Interac Debit. Email us for details if you wish to pay by this method. Our Paypal address is orders@www.blankmedia.ca. Payment is required to be made automatically during checkout. We do not accept e-checks. If you have completed an order with this payment method and were not able to remit payment immediately, please consult your email confirmation for further details. Please note that your shipping address must match your paypal billing address to avoid delays and possible cancellation of your order. Please ensure your Paypal shipping address is confirmed. We reserve the right not to ship to unconfirmed addresses. Thank you for your cooperation. When you complete the checkout process and your payment is received, your order is processed. If your order is received and processed, your order will typically ship within 24 hours, but this is not guaranteed. To avoid delays, please ensure we have the correct billing address on the card as well as your correct mailing address (if it is different).Your credit card statement will read BLANK CD/DVD MEDIA. We reserve the right to perform random credit card name and address verification and the right to cancel an order when the information does not or cannot be verified. The address to make your cheque or money order payable to will be provided in your email confirmation. We will ship your order once the payment has been received. Pickup is available at the location listed below. You can choose to pay online (preferred) or when you pick up your order. Select the pickup option as the shipping method. The Dundas Distribution Centre is not a retail store. Online orders receive priority over walk-in orders. We respectfully request customers to place their orders on the website and wait for notification that their order is Filled prior to coming to the warehouse. Allow our staff time to confirm that the stock is available and there are no issues with your order. Please include full contact information in your fax with an email address. Companies who choose purchase order as their method of payment my pre-pay their orders before the order can ship. There is a $200.00 minimum order requirement for Purchase Orders. Interac Debit is not available for CIBC. For CIBC, please select this payment method but email sales@www.blankmedia.ca for instructions on paying via email money transfer. Blankmedia is responsible for reporting and remitting the private copying levy to the CPCC for sales of CD-R imported by Blankmedia. Currently the levy is set at .29 cents per disc and Blankmedia will add this charge to the price of any CD-R that Blankmedia imported. Some businesses and groups are registered with the CPCC in the Zero Rating Buyers Program. This program allows purchases of imported CD-R’s levy free to companies validly registered in the Zero Rating Program. To find out more about the Canadian Private Copying Collective, the Zero Rating Buyer Program or to fill out an online application, go to http://www.cpcc.ca/en/zero-rating/zr-buyers. How can I search for a product specifically by name? At the bottom of the header, there is a search field that says “find item”. Click in the field and enter any word you like. Then click “GO”. This will search not only product names, but categories, manufacturers, and product descriptions – allowing you to find whatever you’re looking for easily. From this page of results, you can even directly enter items into your shopping cart, as from any regular listings page. We ship to Canada and the U.S.A. only. Prices listed do NOT include shipping unless specified. Our shipping module incorporates both Canada Post and Purolator shipping rates. Rates are based on speed of service selected, postal code and weight. Pre-paid shipping can be selected during checkout using your Purolator, or UPS accounts only. If you did not receive a shipping price from the online shipping module when you placed your order, this usually means the shipping module is offline from the originating rate server and a customer service representative will contact you with the exact shipping cost. We do not offer free shipping unless specified for specific products. Periodically, the shipping module goes offline when Canada Post is doing maintenance. This will result in no shipping amount displaying and/or no service showing. In the event either situation occurs, we will get a manual quote and send you an updated invoice as soon as possible. Furthermore, for some larger orders (more than 5 master boxes), it is more economical to ship by Purolator . For orders over 10 master boxes, it may be more economical to ship by a pallet rather than by courier. The “expected” date of delivery is only an estimate. This date is called the delivery “standard” by Canada Post and refers to when they might normally expect to be able to deliver between our postal code and yours. Their “guarantee” date (when a package is late and may be eligible for a shipping refund) is not always guaranteed and varies by local, regional and national boundaries. Please familiarize yourself with these guidelines by clicking the link below to see if you have a valid claim before contacting us. The date of shipping is counted as day 0. Shipping during specific holidays are not available for late delivery claims. All late claims must be filed by email to sales@www.blankmedia.ca with a tracking number included. There is a handling fee we include in every order shipped that covers the packaging and labour involved to prepare your order. This fee is included in the shipping rate but is not a Canada Post charge. If a shipping refund is approved, this handling amount will be deducted as it is non-refundable. If your parcel is declared late and a claim is filed, please note that we will refund the difference between the shipping service you requested and the service you receive. For example, if you choose Priority Courier and the parcel is received a day late (xpresspost), we will only refund the cost difference between the service levels. If you request that your order be left at your door, on a porch, etc (known as a SAFE DROP by Canada Post), neither we nor Canada Post will be held responsible for items not received. The day your order is shipped, you will receive an email from Canada Post or Purolator with your tracking number. Same day shipping – We guarantee all orders placed by noon EST will ship the same day. Next day shipping – This means the item you have ordered is in stock but needs testing and can only ship the next day. Free shipping – Shipping for that specific item only is free. It does not apply to your whole order. Free shipping 3-5 days – We have to special order the item. It will take 3-5 days to arrive to our warehouse or to have the item shipped directly to you. Pallet shipping is only available to Canadian customers and is not available to all areas. A pallet can contain as many as 30,000 blank discs or 6,000 DVD cases or 30,000 jewel cases or a combination of the above. This is a flat rate and not based on weight. If your city or delivery destination is not in the drop-down list, please select the closest city to you and proceed through the checkout. If you are not in a major center, extra charges may occur depending on the distance from a major center. If you are having the pallet shipped to a residential area a $35 extra charge applies. If you do not have a loading dock a $35 extra charge applies. Before processing payment for your order, we will advise of any additional pallet shipping charges and fees and request confirmation. No. The duplicator can only duplicate one title at a time but you can special order a custom built tower with 2 controller cards to duplicate more than 1 copy at a time. No. The duplicator cannot be controlled by any external connections. However, the duplicator can be connected to an individual computer via USB/Firewire connection to allow the computer to burn data to specified burners and create a master disc to make the duplications from. No. One format cannot be duplicated to another. 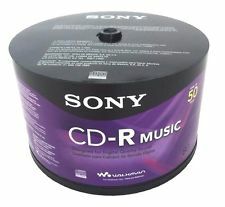 For example, CD’s can only be duplicated to CD (including VCD to CD) and DVD’s to DVD. Can I duplicate business card size CD-R’s or mini CD-R’s with your duplicator? Yes. Our duplicators support all sizes of media. Yes, you can make copies while you are using your external USB/Firewire devices. As long as there are drives not connected to USB/Firewire connections, they can be used to make duplications, even while you’re using the USB/Firewire connections. However, if all of the drives are connected to USB/Firewire connections, then you will not be able to make duplications at the same time. If you’re uncertain how many drives are connected to the USB/Firewire, you can easily determine this information as the drives are labeled with either a USB or Firewire sticker. No. Computer hard drives and duplicator hard drives are two separate file systems, so they cannot communicate. The USB and Firewire connections’ allow the computer to use the duplicator as a CD or DVD external burner. You can use either of those devices to store the data on a disc from a specified CD or DVD drive on the duplicator. Once you create that disc, you can use it as your master disc to load into the hard drive and make your duplications. No, you can’t. Each partition represents the exact clone of the master disc. They cannot be combined or truncated. Yes, the duplicator’s speed is the maximum speed it can handle. It can be set to record at any speed lower than its maximum speed. To avoid overclocking, please don’t burn at a higher speed than posted on the media. If you are using a lower grade of media, we always recommend burning at 1/2 the disks rated speed. Yes, all of our DVD duplicators are capable of coping CD’s as well. Can my DVD duplicator, duplicate Authoring DVD’s? Yes. Our DVD duplicator can duplicate your Authoring DVD master into General DVD-R/+R format duplicates. The duplicator cannot use Authoring DVD blank media. Can the duplicator make copies of copy-protected material? Can your duplicator make copies from masters created on a Macintosh? Does the duplicator have a warranty, and who provides the service? All of the duplicators come with a standard warranty, which covers parts and labor. The manufacturer will provide all services if needed. The warranty varies depending on the model. In most cases there’s a one-year warranty. Check the product specifications to get the exact information. How come I can’t duplicate my masters created by my DVD Video Recorder, such as the Panasonic DMR Series? DVD video recorders such as the Panasonic DMR Series or similar recorders, requires you to manually finalize the recorded data before you can play these discs on other DVD players or use a duplicator. So please make sure you finalize your data when you use Panasonic DMR recorder, always check the option to finalize your data. If the duplicator does not accept the recorded DVD, most likely you have not finalized your masters before you put them into the duplicators. How come I can’t play my duplicated recorded DVD (DVD-R or DVD+R) video from the DVD duplicator on my DVD player? Duplication playback problems usually occur for two reasons: –The DVD player is an older model and the DVD-R or DVD+R playback format was not added at that time. Try using a newer DVD player, as most DVD players today support DVD-R and/or DVD+R disc format. –Your blank media is low quality. DVD players may not be able to play every kind of DVD-R or DVD+R media. If you are using sub-standard media, you may encounter playback problems. Thus, we strongly suggest you to use a better playback compatible DVD-R blank media. You can test duplicated copies for accuracy by performing our Compare function. This function compares the duplications to the original master disc by comparing the duplicated disc bit by bit. This process ensures the duplication is a 100% exact duplication of the original, providing optimal playback ability. If there is a recording problem, the duplicator will notify you on the display there was a failure and keep the affected disc in the machine so you can identify which one(s) are defective without disrupting the rest of the duplicating process. This doesn’t guarantee there won’t be playback problems however. Cheap media are less compatible for playback. No. Installing the hard drive requires special wiring and pre-configuration procedures, which can be only done by our certified technicians. Any attempts to alter the machine on your own or through a non-authorized service technician will nullify the warranty. Is my DVD/CD duplicator standalone? Yes, all of our CD/DVD duplicators are fully standalone with simple one touch buttons to duplicate. No computer knowledge is required AT ALL. THe Athena cards have 4 buttons on them for easy navigating through the menus. What are USB and Firewire connections? USB or Firewire connections are mounted inside the duplicator and allow a computer with appropriate USB/Firewire links to control one or more of the duplicator drives to use as an external recorder upon your request. What does “Target Overflow” mean? Generally this means the capacity of your master is larger than the capacity of your blank disc. What if my Firewire/USB connection doesn’t work with my PC/Mac? Every single PC related product has compatibility issues. Even though we have thoroughly tested the Firewire/USB connection(s) before we shipped it out, there’s still a slight chance that your PC/Mac computer is not compatible with our Firewire/USB connection. If that happens, please contact your PC/Mac manufacture for possible configuration changes to make it work or try it on other PC/Mac computers. Installing an USB/Firewire connection(s) is useful if your data is stored on a computer that does not have a burner/recorder installed. Why do some duplicators come with USB & Firewire connections and others don’t? With higher speed duplicators, there’s more of a chance for errors in transferring data when using the duplicator as an external burner from your computer. Because of this, we prefer to eliminate potential problems by not offering USB and Firewire in specific models, particularly models with speeds of 12x and higher. 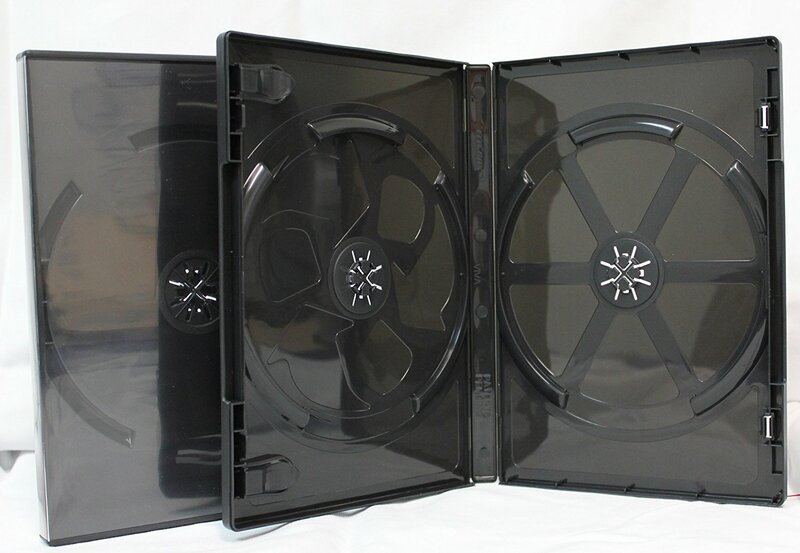 Yes, our DVD duplicators will duplicate both NTSC and PAL DVD Video format. However, your duplications will be in the same format as the master disc. If you’re duplicating the PAL format the duplications will be in the PAL format. The same applies for NTSC. Will the duplicated disc differ from the original and will the “chapters” be copied from the master? The higher the speed the more chances that there can be some quality drop-off. However, the amount of diminished quality is very minute and will not make a difference or be noticeable to most people. Disk quality plays a big part here. Yes. The Wytron 688 DVD duplicator and the Athena 11 target burner have the CD+G feature. No. Our duplicators work with most every brand of media on the market. However, using better quality media will result in better quality duplications. Taiyo Yuden and Verbatim provide the lowest error ratios in duplicators. Some lower grade media provide output that is not playable so it is important to quality control your copies frequently. What is the difference between using the burner on a computer and a CD/DVD duplicator? 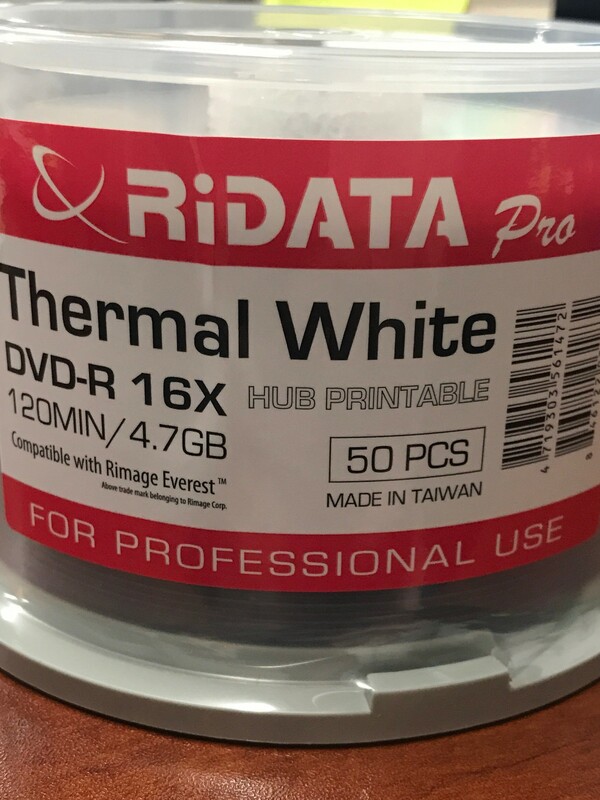 Our duplicators are designed to maximize the quality of the duplicated disc and generally produce better quality discs than a computer. Our duplicators are much easier to use with one-touch operations instead of requiring and understanding specific software programs. Duplicators can be set up anywhere there is a power outlet while a computer requires specific programs and is often too difficult to transport. Most computers only offer one CD or DVD driver while a duplicator can come with multiple drivers and can make multiple copies simultaneously.